As our everyday life gets more and more frenzied, we are almost always on the run and time never seems to be enough for us! We have our breakfast in a hurry, to have time to take a shower and not be late for work. All of these habits are very common and unharmful at first sight, though there are some of them we should avoid doing after eating and here’s why. Maybe we all know this rule, though we don’t go by it. It is not advisable to take a bath or a shower right after meals, though you don’t even have to wait too long: it is fine to wait 30 minutes after breakfast before having a shower in the morning. 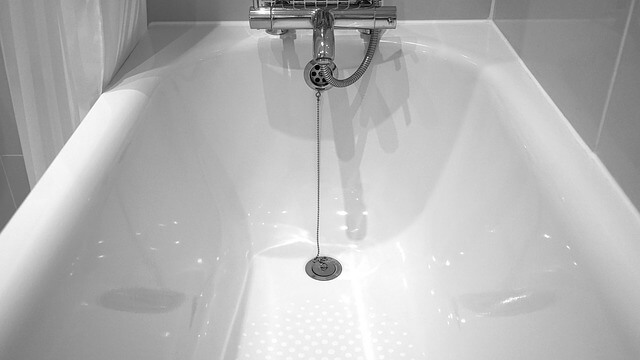 When taking a bath or a shower, our body temperature tends to decrease. In order to make up for that, our body starts to increase the blood flow to the skin. It may slow down digestion and nutrient assimilation. 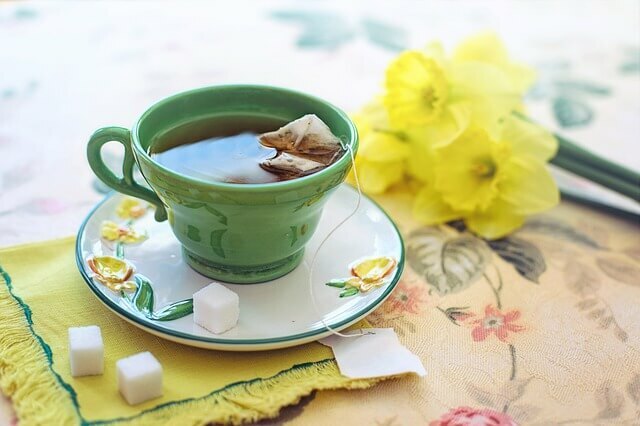 Having a cup of hot tea (green or black) is an essential habit for most of us. Yet research has shown tea, as it is packed with tannins, polyphenols e phytates, may prevent iron to be assimilated. Iron is an essential microelement – it helps our body to work properly. We should be waiting at least one hour after lunch before having a tea. Following this rule should be particularly important for individuals with an iron deficiency, children and pregnant women. Coffee is also known for having negative effects on iron absorption. A study showed that the presence of sufficient amounts of iron absorption enhancers (ascorbic acid, meat, fish, poultry, as present in most industrialized countries) overcomes inhibition of iron absorption from even large amounts of tea. Source: “Effect of tea and other dietary factors on iron absorption.” By Zijp IM, Korver O, Tijburg LB. Stating that eating right before going to bed causes you to gain weight is a myth that has long been debunked; though it is safe to say this habit isn’t that healthy either. Going to bed on a full stomach may cause ailments and health issues, such as gastric reflux, heart-burn and aerophagy. What is more it has been shown that getting to sleep right after meals increases the risk of stroke by about two-thirds. It is advisable to wait a couple of hours before going to bed. 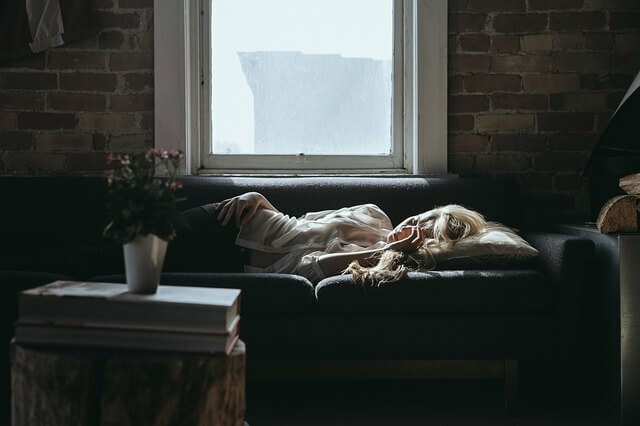 A new study suggests that waiting at least an hour after dinner before going to sleep reduces your risk of stroke by about two-thirds. For every 20 minutes more that you wait, stroke risk drops another 10%. 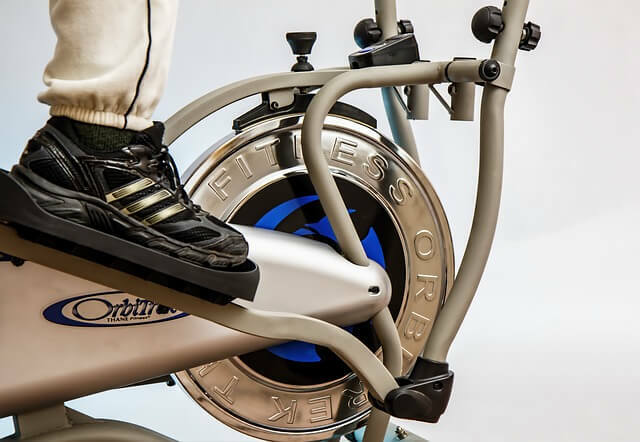 It might seem a good idea to go to the gym right after having had a meal. The idea is to work out and burn out the calories we have just taken in. Yet experts strongly advise against that. The reason is physical work on a full stomach might cause several ailments: nausea, vomit, hiccup, indigestion and even more serious risks, such as spasms and the risk of traumas. It is advisable to wait a couple of hours before taking heavy physical exercise. Yet if we really want to move a bit, taking a walk after meals is the best of choice. Let’s assume smoking is a habit that should entirely be eradicated regardless of the time of meals. Smoking may just harm our health and everybody knows it. 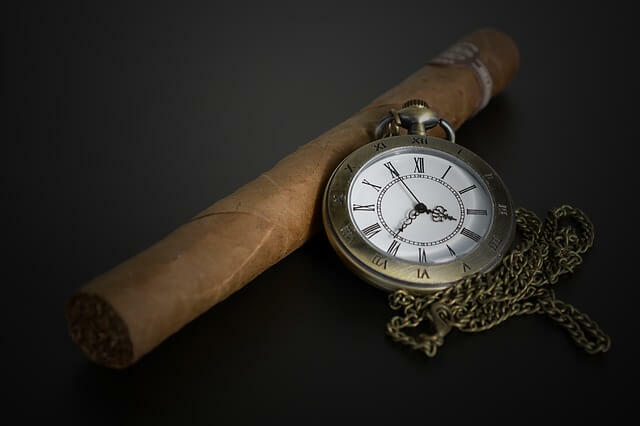 Unluckily there are people who are addicted to smoking: if you really want to smoke, you should wait at least 20 minutes after having eaten. During the digestion process our body turns all of its systems on. In this phase nicotine would be assimilated twice as fast, harming our body even more, and increasing risks to damage our health. What is more, research has shown tobacco prevents vitamins and minerals from being assimilated, thus cancelling out all the benefits of a healthy meal. 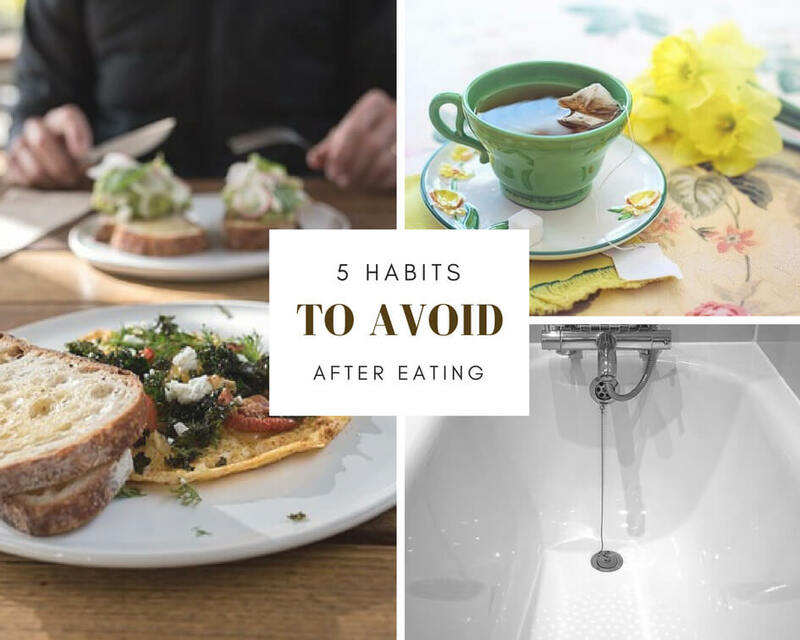 Thank you for reading 5 Most Common Habits To Avoid After Eating And Why, and if you find this article useful, please comment below and share it so other people can benefit from it as well! Do you know if you have unhealthy eating habits? 5 effects of an unhealthy diet. Oh dear, I mostly have a cup of hot tea after dinner. Now on, I’ll have to wait for an hour. Will half hour do?